CuPL – CUNY Libraries Branch Out! The Library Information Literacy Advisory Committee, LILAC, is the Library Discipline Council of the City University of New York. 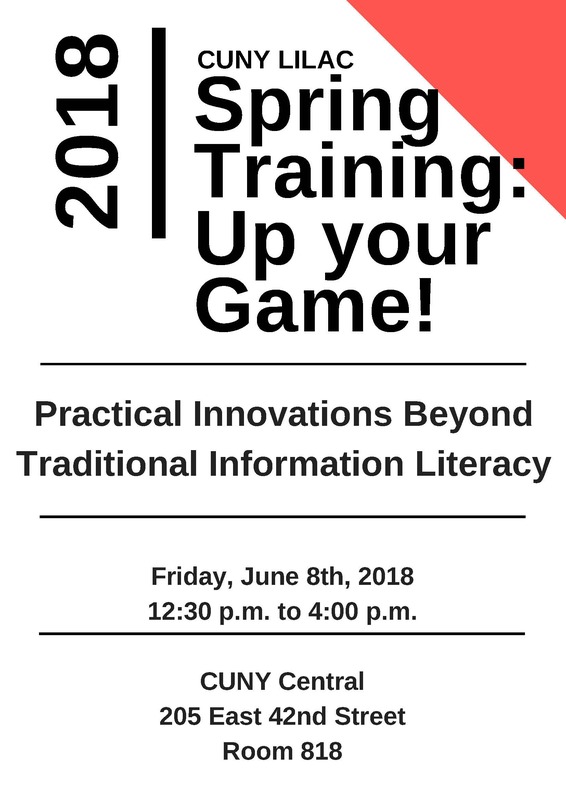 All librarians inside and outside of CUNY are welcome to attend the Spring Training.